Finally I paid Harvey Nichols a thorough visit to check their latest, which left me quite frutsrated as my fondness with shoes is hard to contain.. 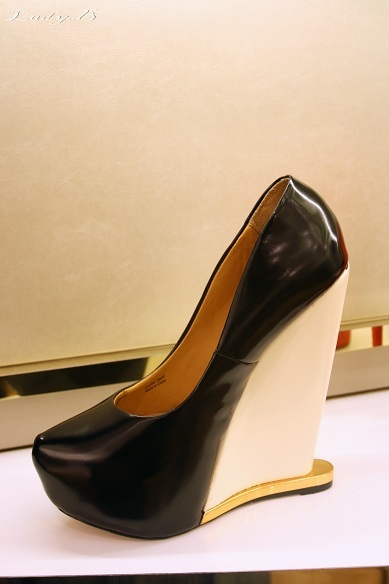 Loved thoes Nicholas Kirkwood shoes, first their black & white with paste touches here and there not so comfy if I may say but love them nonethless..
Makes me skip to spring immediately, even though Winter seems to be playing hide n' seek at this moment..
Crazy wedges from L.A.M.B if we had snow would be good enough for skating ! 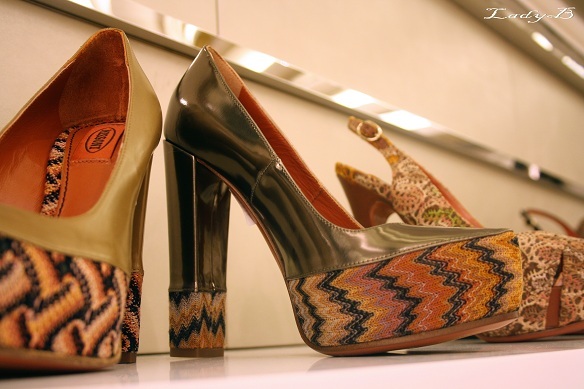 Marni shoes, happens to be very comfortable as well..
My tolerance metre for high heels is 4 hours, so if you are good for this duration then the shoes passes my approval ! 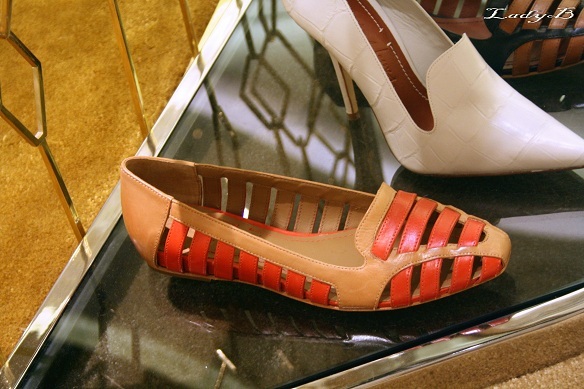 Red and tan flats, good for running those endless summer errands or maybe travelling ! Super quirky sandals by Brian Atwood, I personally love the mixture of daffodile blue with oranve and adding the leopard print was exceptional ! 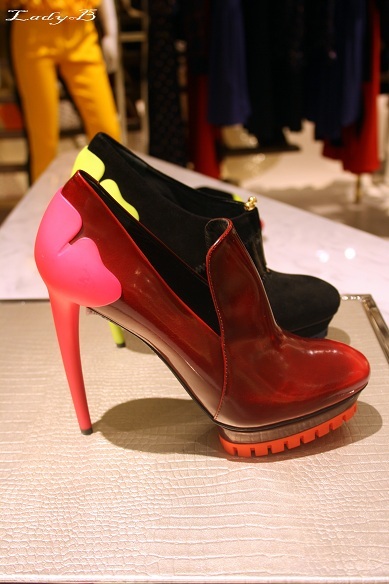 Kenzo had been on a roll lately making un-usual avant garde heels, those are ombre' pumps with neon rubber heels !